Splatoon’s Inkling is ready for battle with this exclusive Super Smash Bros. DLC. Nintendo’s Splatoon Direct revealed a wellspring of new information for the game, but one of the more surprising reveals involved DLC for Super Smash Bros. for Wii U. If you pre-order Splatoon at GameStop, you will receive DLC costume codes for the Mii Fighter. 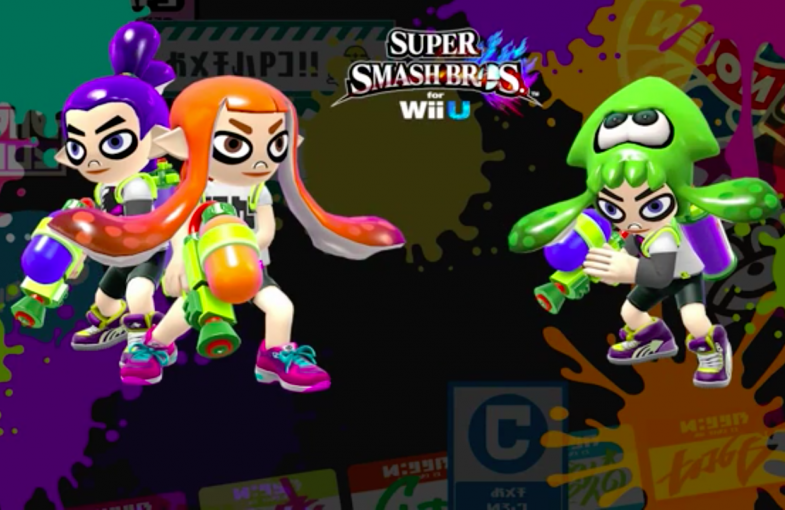 The costumes are of the Inkling Boy, Inkling Girl, and Inkling Squid, and resemble the corresponding Splatoon amiibo. It is unclear whether these costumes will be made available for purchase later, or if they will come to the Nintendo 3DS version of Super Smash Bros., but it’s nice to see Nintendo’s newest IP get some representation in Super Smash Bros.
Splatoon will launch for the Wii U on May 29th.